Detroit Red Wings Trades: When Will Ken Holland Strike a Deal? Red Wings Trades: When Will Holland Strike a Deal? As was the case for the previous two years, the flipping of calendars to 2019 brings increased speculation on how the Detroit Red Wings will approach the trade deadline. As their rebuild rolls along, every trade presents the Red Wings with an opportunity to emerge as contenders a little sooner than expected. 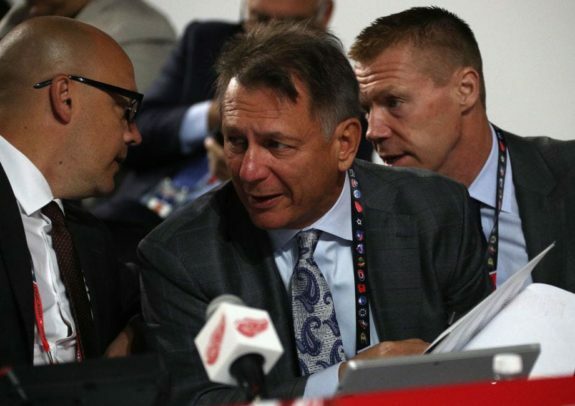 General manager Ken Holland will have his hands full once again – he’s been busy stockpiling picks and prospects around the past two deadlines. This season, the Red Wings have a number of players who could be dangled as attractive trade bait, including goaltender Jimmy Howard, Gustav Nyquist and Nick Jensen. So when can you expect Holland to swing a trade or two? Let’s dive into Detroit’s recent dealings around the deadline and find out. Red Wings Trades in January? Anything can happen, but don’t bet on Holland finalizing a trade during the first month of 2019. It’s never happened actually. In Holland’s tenure as Red Wings general manager, he has completed exactly zero trades in January. You have to go back to 1997 for the team’s last January swap, when Scotty Bowman and Jim Devellano managed Detroit’s player personnel decisions. The Red Wings moved center Greg Johnson to the Pittsburgh Penguins for veteran left wing Tomas Sandstrom on Jan. 27 of that year. Sandstrom played on Steve Yzerman and Darren McCarty’s line and collect the primary assist on McCarty’s iconic goal in Game 4 of the 1997 Stanley Cup Final. Over the past five seasons, Holland has typically waited until the last minute to sign off on trades. Last season’s Tomas Tatar trade was completed with minutes to go before the 4:00pm EST cutoff. But starting with the 2017 campaign, Holland has begun to pull the trigger a little sooner. Tomas Jurco and Brendan Smith were dealt a week before the 2017 Trade Deadline. It was the same case for Petr Mrazek a year later. Generally speaking, those trades graded out better than those completed on deadline day, though the Tatar deal was arguably Holland’s best. For depth players like Nick Jensen, trading at an earlier date may be the best route to take. At the deadline, the best players on the market tend to hold things up, as Erik Karlsson did this past year. By trading someone like Jensen earlier, the Red Wings can get great value for the defenseman before teams are “in” on marquee players, and therefore saving their assets for deals that may not materialize. So, in other words, sit tight if you’re waiting for a trade. If history is any indication, the Red Wings won’t move anyone until near the trade deadline. 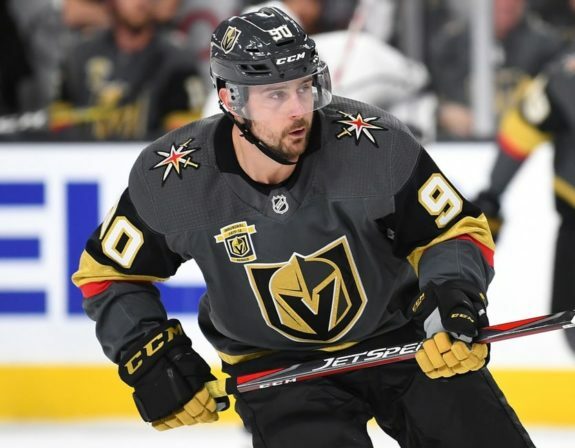 This doesn’t mean that Holland is procrastinating or sitting on good deals – teams may not be willing to pony up solid offers until the last minute, as was the case for the Tatar trade. With Howard, Nyquist, Jensen, Thomas Vanek and others possibly up for grabs, there’s a good chance that the Red Wings walk away from the 2019 Trade Deadline with a few great assets to aid the rebuild. There will be no-trade clauses to navigate, but considering Detroit’s place in the standings, some of these players may jump at the opportunity to contend for a Stanley Cup. How do you think the Detroit Red Wings will approach the trade deadline? Comment below.